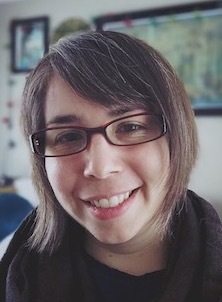 My name is Callie Dominique Karlsson Speer, and this site has been around in one form or another since the misty haze of 2000. Professional: I have been working in international education since 2007, and previous to that I spent some time working in both banking and travel. I studied abroad, taught English, and now have had the honor of leading student groups to Japan as part of a co-designed class on self-identity. The old classic LinkedIn has more details if you are curious. Education: I am currently pursuing a PhD in Education at North Dakota State University. Through this program, I am exploring questions of meaning making, including cognitive structures, language, and narrative in the context of education abroad. I'm also interested in digital storytelling and journaling/sketchnoting as a means of agency and self-expression in a modern world. I completed my MS in Sociology at NDSU in 2015 and have a BA in History from the University of Minnesota, Morris. I also attended Kansai Gaidai University in Osaka, Japan. I enjoy learning and hope to never stop. Strengths: Ideation, Strategic, Learner, Intellection, and Input. I do question whether these are my actual strengths or just my personal construct of strengths as an ongoing means of reinforcing my self-image...but then looking at that list I would be the kind of person to ask that question, huh? 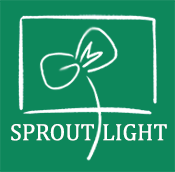 Site: Sproutlight is lovingly hand-coded using html, css, a tiny bit of php, and lightbox. There are easier ways to do it, but I hand code for the same reason people keep a garden: I like to get the code under my fingernails. All of the hand-coded bits validate as HTML 4.01 Strict. Online: I am most active on this blog (including the connected page on micro.blog). I also post on Instagram and every once in a while on Flickr. You can contact me at cdks@sproutlight.com.